Through a diverse set of partners (our sponsors), we are able to improve and extend the capabilities of our SharePoint and Digital Workplace implementations. This conference is a great way to see what is offered in the EXHIBITORS area. Nowhere else will you find such a concentrated group of specialists and product vendors in Digital Workplace technologies. Spend some time talking with them, listening to case studies and featured speakers, and seeing demonstrations. See the exhibitor floor plan here. Unily is the award-winning intranet platform from Microsoft Gold Partner, BrightStarr. Designed from the ground-up to improve organizational productivity, efficiency and engagement, Unily gives global workforces like McDonalds and Shell the ability to communicate and collaborate from any device, anywhere. Unily is hosted on Microsoft’s powerful Azure platform and integrates seamlessly with the best of Office 365 and other applications to deliver a streamlined digital workplace, quickly. Combining the best of Microsoft enterprise technology such as SharePoint, OneDrive, Yammer, Teams, Office Graph, Skype and PowerBI into a single interface, Unily makes the tools understandable for your employees, driving adoption and consumption. K2 apps run on premises or in the cloud, they integrate with your current systems, and they allow for insightful reporting. Everything you build is reusable and easy to change with little or no code. With K2, your people can access their tasks from anywhere — mobile devices, company portals or email — so your workforce can move faster and stay focused on growing the business, instead of managing processes. LiveTiles makes the complex simple through innovative, intelligent software. Without the need for coding, LiveTiles empowers companies to surface and integrate any application, data or resource into a unified digital landscape. By integrating accessible design, artificial intelligence and cyber security, we have evolved and extended the user experience to create something truly transformative: The Intelligent Workplace. Nintex is the world’s leading workflow company. Nintex’s workflow automation platform enables everyone – business users, developers and IT professionals – to quickly and easily automate processes. Nintex connects people – including mobile users – with processes and content, whether on-premises or in the cloud, on today’s well-known content management system s and collaboration platforms.A customer excitedly said creating workflows with Nintex is easy to start and hard to stop. That’s because everybody at his company wants to automate a process now that they know how much easier their work flows with Nintex. The customer even had a name for this just-can’t-stop-with-one-workflow enthusiasm – Nintexing. 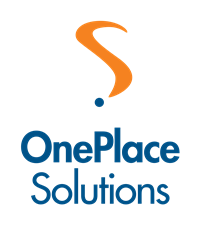 OnePlace Solutions Our goal is to enable people in business to do more, simply. At Pingar we want to make analysing text as easy as analysing data in databases. Unstructured data such as text represents 80% of your organization’s content and grows at 45% annually (according to Gartner Inc). Being able to organise, collate and identify what is relevant, active and important is an ongoing problem with significant measurable financial implications for any organisation. We’ve got some smart people working on this at Pingar with PhD after their names. And our research roots go back to leading institutions in this area including the University of Waikato in New Zealand, one of the pioneers in National Language Processing (NPL), the University of Swansea in the United Kingdom and PolyU in Hong Kong. We’ve also got world leading partners who provide local services to government and enterprise customers in Europe, North America, Asia, Australia and New Zealand. We are a Certified Microsoft Partner and specialise in the SharePoint ecosystem. Powell Software is an international Software Vendor that drives digital transformation by offering customizable and evergreen intranet solutions, built on top of Office 365 & SharePoint. The Microsoft Gold Partner helps customers all over the world drive their digital transformation by offering revolutionary digital workplace collaboration and implementation products. Make your workday shine with the award-winning Valo Digital Workplace products built on Office 365 and SharePoint – Valo Intranet, Valo Teamwork and Valo Idea Management. Intranet/Extranet” recognition two years in a row. Our latest recognition is the “Best Mobile Solution 2018” award. Our product family is a perfect match for your Office 365 ecosystem. All our products are made with #Valolove by experienced SharePoint & Office 365 professionals and MVPs, and deployed around the world by our Valo Partners. Visit at valointranet.com and follow @valointranet on Twitter. ShareThePoint are the organisers of SharePoint and Digital Workplace Conferences in New Zealand, Australia and Southeast Asia. Engage in person with the SharePoint Community. Connect with peers, industry experts and SharePoint specialists. These are annual ShareThePoint Conferences which attract both business and technical roles, and provide a wide range of content to learn, upskill and re-train.